After graduation from University, I have worked for Hospitality industry for almost 03 years as customer services role. In 1996, I have joined Merck & Co., US pharmaceutical company as Executive Assistant to General Manager. In 2000, I have transferred to HR role to in charge general HR for Vietnam; Starting early 2003, I have moved to HR management level in various industries of Advertising and Retail. 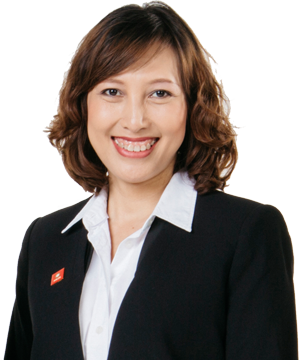 In November 2005, I joined HR2B as Branch Manager Hanoi and successfully set up the office and Search team there. In 2007, I returned to HCMC to lead and develop this larger Search team. In July 2010, HR2B acquired Contracting service business from Navigos Group, my role changed to Business Development Director. In January 2015 my role changed again as accepted the position of Managing Director HR2B Global, the retained search business. As an active member of Amcham HR Committee, Eurocham, and the Vietnam HR Group, HR Association in Vietnam, I have a developed and maintained a strong network in the HR and business community nationwide Viet Nam. HR2B is a professional services firm focussing on Human Resources management in Vietnam. The combined experience and expertise of our management and staff brings high value added service to our customers, who are usually leaders in their industry. Copyright © 2015 HR2B Corporation.